We have 293 consumer reports for treatment of Pain (chronic) with Amitriptyline. 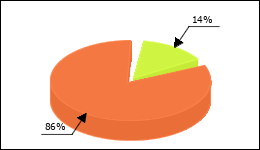 Pain (chronic) used in 14% of cases. Tired fatigue at the beginning. Absolutely slowly sneak in and take in the evening. In the first days, the tiredness pulled in until the next morning. Responsiveness was severely limited. After about a week it got better, for the next two weeks it looked like a tablet to fall asleep. After about a quarter of a year, no side effects were felt. I have been taking amitriptyline for chronic tension-type headache for about 2 months now. At this time, I first took 12.5 mg, then was increased to 25 mg for about a week. Side effects included only numbness in the mouth shortly after ingestion, increased sweating and loss of satiety. The latter, however, is so annoying to me that I will probably discontinue the drug soon, especially since so far no success has been achieved. Dry mouth in the beginning, dizziness (low blood pressure), very heavy tiredness in the evening, almost could not get up in the morning. Given suspected CRPS type I. After 3 – 4 days of habituation completely painless. In the first week of use: tiredness, fatigue, then symptom-free. Amitriptyline made the pain bearable and at night I was able to sleep well. Constipation occurred immediately and weight gain after a few weeks. I am assuming that Ami is now already 4 years old, about half a year after receipt started my hair loss. I went to the doctor and he said it could not be from the Ami. Zig investigations have revealed nothing. Had beautiful natural curls, now I have hardly any hair and the curls you see almost nothing at all. Am super unhappy about it. I dropped off the Ami four days ago and I’m curious how it affects my hair. At the beginning dry mouth, extreme fatigue, bloatedness. Then especially weight gain, had to keep constantly strong Diaet and do sports to keep weight reasonably. After about 4 months beginning of severe hair loss, especially after washing your hair (counted 260 hair). I then discontinued the preparation for fear of hair loss. My chron. However, pain (muscle dysbalance with severe muscle pain) caused by an incompetent osteopath (violent, completely senseless straining) has steadily improved with ingestion. Exit due to discontinuation therefore unknown. Hair loss persisted after discontinuing the med. For 3 months and then came to a stop. Hair grows again. After the evening walk: Sleep disturbances, agitation, anxiety – after weaning, the symptoms disappeared – unfortunately, the drug has not helped. my experiences are very good … have no side effects … only eg. Substances from the targin … but is already on the mend.